Temples adjust to four different lengths. 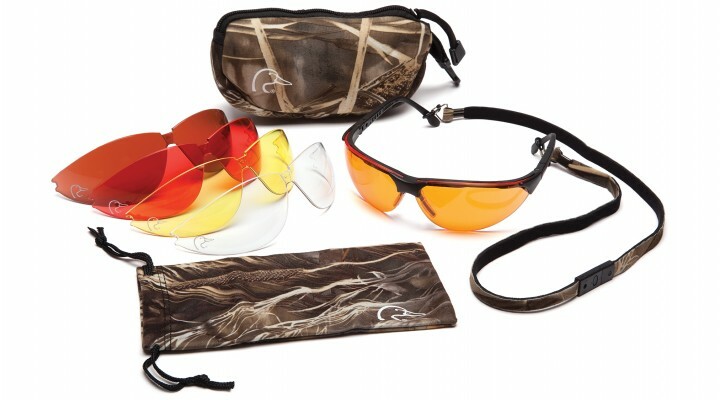 Kit includes Realtree Advantage MAX-4HD neoprene cases with DU logo, microfiber cleaning bag with DU logo and camo breakaway cord. Sunblock Bronze Lens: Bronze color lens is molded from UV400 polycarbonate for 100% protection against harmful UV-A and UV-B rays. Blocks the blue light of the spectrum. Offers brighter view on cloudy, hazy or foggy days. 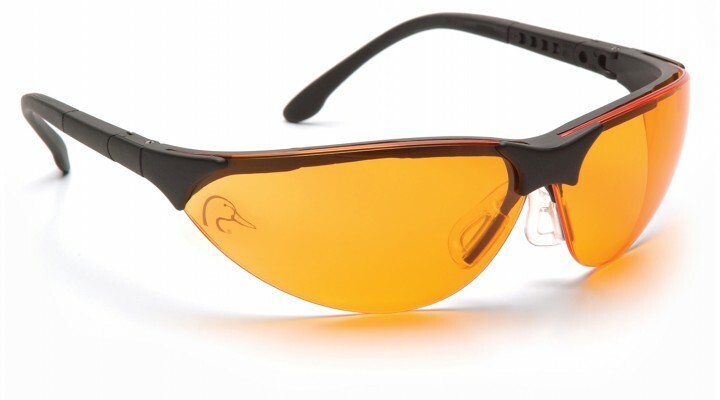 Orange Lens: Offers high contrast and low light image resolution. 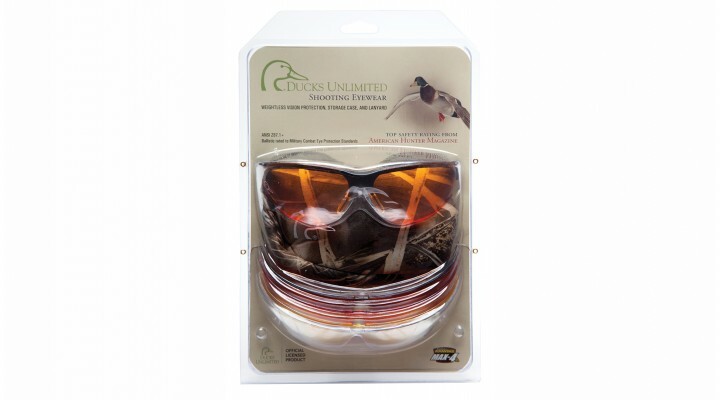 Vermillion Lens: Vermillion has a muting effect on green to bluish backgrounds, and therefore is common for shooting sporting clays. Enhances contrast while reducing all color equally for optimum color recognition.